It is an initiative of self-employment in the apiculture sector, which takes advantage of the family home to settle in Viana do Bolo after going through Vigo, where he worked linked to the industry. "They tell you that there is no future and you leave because of inertia." It's a family initiative, both members of the couple come from nearby places, in the east of the province of Ourense. Looking for an alternative to live in the countryside, they found by chance the apiculture and the were trained in Vigo, before returning to Viana. 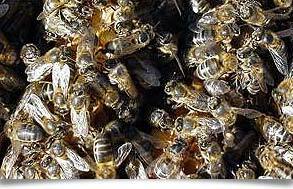 They sell 99% of honey in bulk and they achieved better living conditions than they had in the city. Instead, they think that they have access to all services, but with worse quality than the city services. This is an initiative launched with the help of CDR Ancares, to improve the conditions of the operations of cattle farms, especially with regard to sale prices. Constituted as agricultural cooperative in 1994, so it already has 20 years of experience. 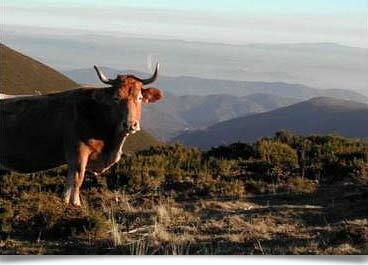 Its partners belong to different municipalities of the mountain of Lugo, in Os Ancares region. It is an initiative heiress of a community revitalization process, with a philosophy of bottom-up, where the neighbors are protagonists in seeking common solutions to their common problems. One of their strategies was the inclusion of farms in the Protected Geographical Indicative Tenreira Galega (Galician Veal) and, subsequently, the intercooperation with cattle cooperatives from other regions of Galicia, creating the second degree cooperative Artesáns Gandeiros. Once consolidated the main purpose of marketing, they went rendering other services such as the purchase of inputs or marketing of family farming surpluses (chestnuts, apples, etc.). Racataplán is an initiative of self-employment in the sector of textile manufacturing, under ecological criteria and original designs intended for the convenience of children from 0 to 3 years. It is a personal initiative that has collaborations for embossed designs or confection. In addition to selling through the website, the products are available in small specialty stores. The market strategy is differentiation, with fair and ecological production and the innovative design. The image, packaging and transmission of differential values of the products and design elements are remarkable in this initiative. The business is developed from her own home, maximizing the potential of the Internet, both for sale and for training, searching for information and maintaining contacts with suppliers and contributors. MiAvizor is an advanced teleprevention system patented by the Faculty of Psychiatry of the University of Santiago de Compostela. Through an installation of wireless sensors at different strategic positions in homes, the person's movements are monitored in order to identify possible incidents: if the person does not leave the room during the whole day, if the person is not following meal schedules, etc. Information accessibility is configured in order that it is possible for families, health and home assistance personnel, or any other who provides the person with a service to access this information. Information access is done through a web platform. Technology is not intrusive, and it respects people's intimacy, since there are no visual images. It uses signals that help to supervise daily routines, and it informs of changes or modifications that indicate the possible problem that the person might have. This idea emerges from the evaluation of the service offered by Consorcio do Benestar 'Xantar na Casa' (Lunch at home). This evaluation detects the necessity to monitor the weekly supply of food consumption. At the present moment, MiAvizor is installed in more than 225 Galician homes. Como Cabras is a initiative of cooperative self-employment that is part of a broader project life, living in the countryside. The people who work in Como Cabras come from cities outside the region. 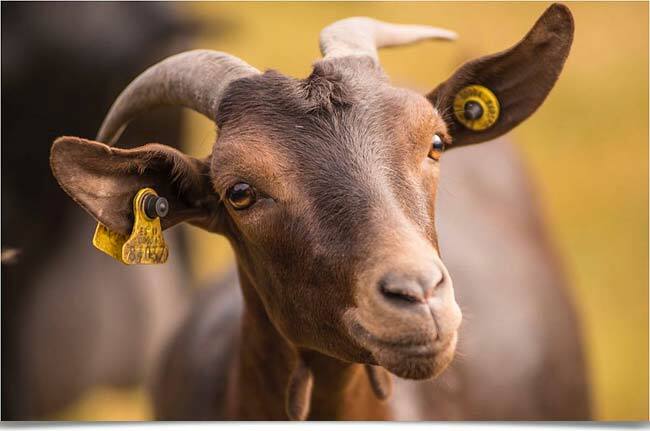 This neorrural experience is based on goat livestock and production of artisans cheeses with raw milk, to sell them under the brand Touza Vella. 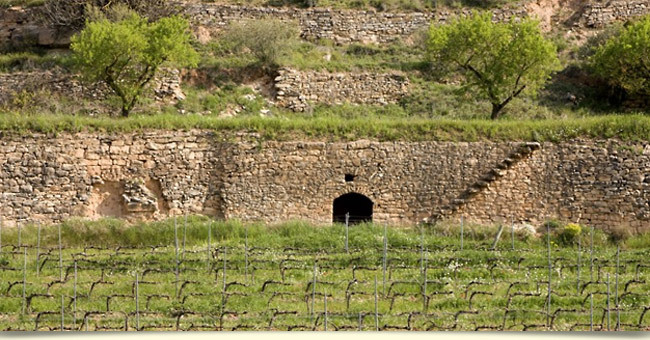 Como Cabras is based in the municipality of Castro Caldelas, in an area of strong demographic decline. The abandonment is a favorable element in the price of housing, but also a limitation with regard to the possibilities of social organization to joint improvements. 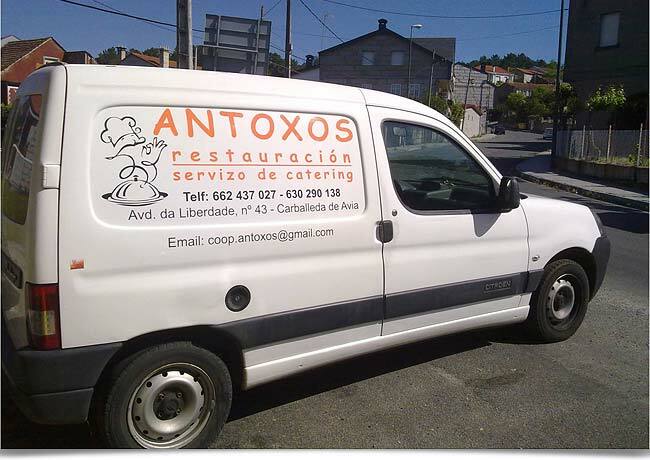 Antoxos is a cooperative formed by women who provide outreach services in their own municipality and region. Specifically they carry food to the home of the elderly who want to hire the services. It is an example of creating economic value in local areas, from the need of services derived from the dispersal and aging of the population. At the same time it meets a need for proximity, they created three jobs. With a portfolio of about 40 or 50 customers a day, Antoxos can make custom menus, and they seek to respect traditional meals which people in the countryside are used to eat, also taking into account health criteria appropriate to each case. A Cova da Terra (The World's Cave) is a pioneering fair trade and responsible consumption initiative in Galicia. Placed in the city of Lugo, it covers three main working areas: the shop (a responsible consumption tool), a social centre (where activities related to ethical bank, feminism, renewable energy sources, international cooperation, etc. are organised), Kandahaira resource centre (used as library and documentation centre), and an educational project. Under this last working area, A Cova da terra attempts to train and create awareness to promote fairer economic relations. An instance of one of its projects is 'As mulleres alimentan o mundo' (Women Feed the World). In this project, workshops for women in rural areas are organised, and it also promotes encounters with women from other countries around the concept of food sovereignty. Through the initiative 'De aquí, xusto e ecolóxico' (From Here, Fair and Ecological), A Cova da Terra encourages the idea of rural areas as places for opportunity to change economic and nature relations. It encourages ecological and sustainable initiatives, and it seeks to promote local food production under ethical and fair criteria. This project's main tool is the guide 'How to Make Fairer and Ecological Rural Areas'. In this guide, different initiatives and examples of rural development are shown: ecological production, processing, and distribution, basic rules, assessing, economic sustainability, funding, etc. In addition to the guide, which is available online, different workshops were organised throughout Galicia. The association AMIPA was founded in 1997. 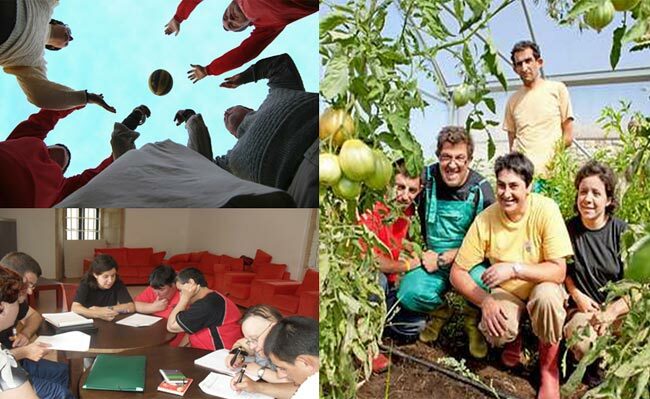 It was an association of families created to respond to the lack in opportunities for the young mentally disabled boys and girls in the councils of Sar, Dodro, Padrón, and Roi, in the region of Coruña. In 2003, what started as a humble network of rural workshops turned into comprehensive continuous training. This training aims to promote self-development of each intellectually disabled person. In addition, the association also has an occupational centre, and it offers different job programs, as well as leisure and sports activities. At the same time, the organisation carries out a volunteering and awareness-raising program in the area. In this program the organisation informs the community about the activities that are being done and seeks for the local community implication on the project. AMIPA is an initiative committed to promote equality of opportunities and people's abilities. Plan Galicia Saudable (Healthy Galicia Plan) was created to encourage physical activity and it is driven by Xunta de Galicia. It has as its main goal to improve Galician population's life quality through regular physical activity and sports. 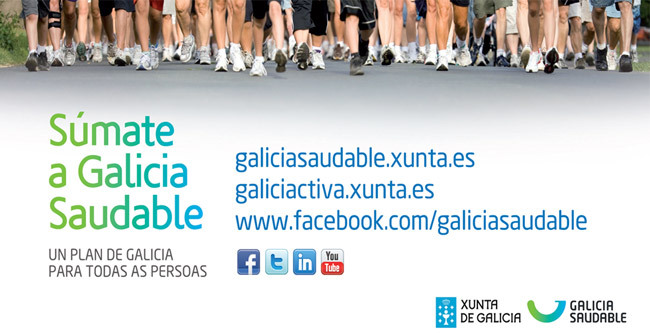 Plan Galicia Saudable attempts to favour the necessary conditions to make Galician population enjoy a more active life. This more active life, would allow them to maintain personal autonomy and their health, as well as to enjoy of a better well-being and life quality. Therefore, it would prevent sedentary lifestyle sickness, from childhood through to old age. The Plan attempts to create the conditions to make every person living in our community able to enjoy an active lifestyle that would favour their health, promoting a more active and healthier Galicia. The high rate of population ageing makes Galicia one of the most vulnerable regions of the EU from the present moment up to 2020. The birth rate is decreasing and the mortality rate is raising. It is predicted that the number of inhabitants will drop (a 1.5% in 2020). Galicia is characterised by a high ageing and geriatrification level (one of the highest of Spain and the European Union regions). This high rate is mainly found in the areas of Lugo and Ourense, and, predominantly, in women. The number of the elderly population almost doubles the number of population younger than 16. One of the Plan's areas of action focusses on rural population and the elderly in Councils of less than 10,000 inhabitants. These are the areas where the lowest rate of sports participants is found, in addition to the lowest levels of satisfaction regarding sports and psychical activities, and the presence of people who have never practised any sport. Galicia Saudable includes 156 different measures divided into 7 action areas: Health, Communal and Local, Leisure Time and Sports, Labour, Educational, Urban and Environmental Development and their Infrastructures, and the Elderly. In addition, there are also three transversal areas (women, disabilities, and collectives at risk of exclusion). Some of the direct actions included in this program are: the creation of programs of leisure time activities for the elderly, specific projects to introduce regular and health oriented physical exercise, and/or other points of attention for the elderly. Moreover, it carries out other transversal activities included in its action areas.